The Turkish Riviera can get crowded in summer, with sunseekers swarming to the beaches and pools. 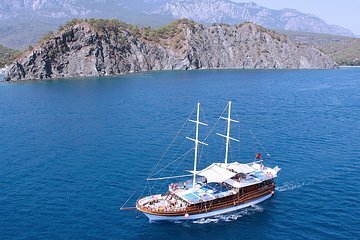 Get away from the crowds for the day and make nature your pool on this intimate cruise around the Alanya coastline. Stop at a handful of natural harbors and enjoy them how you want, with no forced activities or rigid itinerary – go swimming, sunbathe on deck, or just relax in the Riviera sun.